Gesa Power House Theatre presents The Caravan of GLAM on Saturday, June 1 at 7:00 p.m. 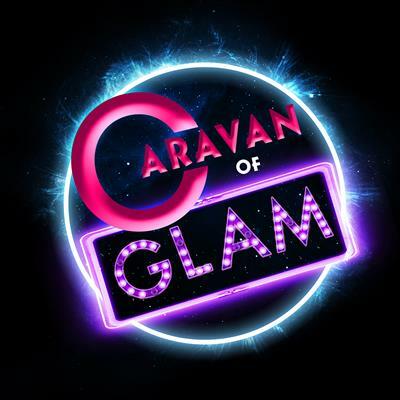 The Caravan of GLAM is a flamboyant cabaret act featuring drag, burlesque, acrobatics, live singing, comedy, fire, and aerial performances. Expect the unexpected as each show is customized to the venue and no two shows are ever the same. The Caravan of GLAM formed in 2013, appeared on "America's Got Talent" in 2015, were featured in the documentary film "Burlesque: Heart of the Glitter Tribe," and were scouted by ABC for a new dance-based reality competition. The Caravan of GLAM tours the United States and Canada, and individual members also perform and tour as solo artists. The cast for this performance will include Isaiah Esquire, Johnny Nuriel, Jayla Rose, and Clare Apparently, along with appearances by some local drag performers. This show is recommended for mature audiences. Reserved seating tickets ($30-$25) are available online at www.phtww.com or by calling the box office at 509-529-6500.